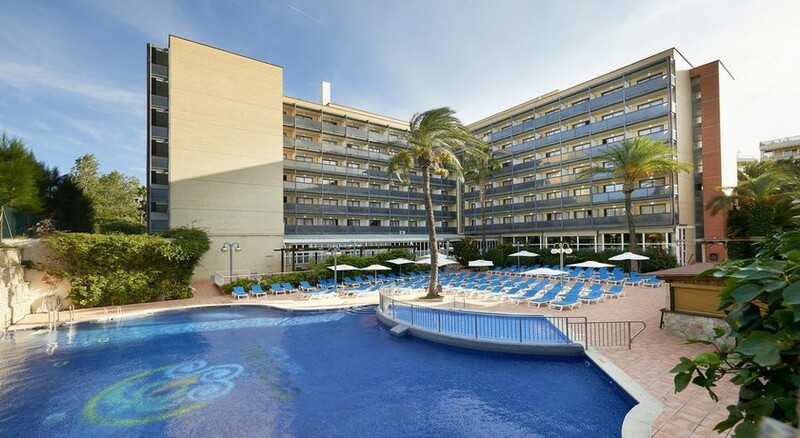 Situated in the popular tourist town of Salou, the Hotel Eurosalou & Spa is slightly outside the hustle and bustle of the centre, so offers a peaceful break while not being too far away from the action. 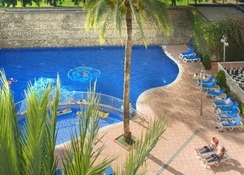 The nearest beach is a 10-minute walk from the property and the hotel itself has a range of facilities available including a swimming pool, children’s pool and games room. For a more laid-back experience, guests can also pamper themselves in the on-site spa which has a range of treatments including Turkish baths, a sauna, Jacuzzi and there is also a gym. Outside of the resort, you’re within walking distance of a selection of restaurants, shops and great nightlife options – plus the PortAventura Theme Park perfect for entertaining energetic kids! 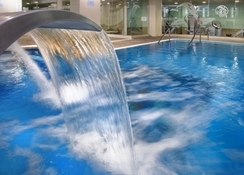 The Hotel Eurosalou & Spa boasts 288 comfortable rooms and is suited to couples and families with children. 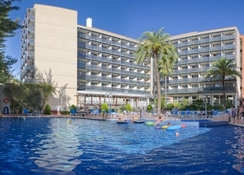 The hotel is set in a quiet part of Salou, however the busy centre is just a short walk away for those seeking the best of both worlds. It provides great access to the main sights which include the PortAventura Theme Park (2 miles), Cala de la Font Nature Park (2.2 miles) and the nearest beach is less than half a mile away. The nearest golf course is Casa Club Lumine Hills which is 2.6 miles away and the Reus Airport is 4.8 miles from the property. 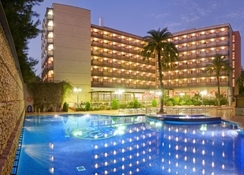 The Hotel Eurosalou & Spa has 288 guest rooms which are divided into several different types to suit all travelling parties. Double Rooms are best suited for couples, and there is the option of having spa access included in your stay too. The Family Suites can sleep two adults and two children with the option of a baby care package. 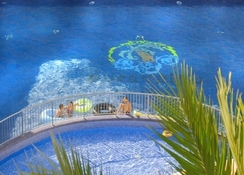 All the rooms have air conditioning, free Wi-Fi and a balcony or terrace. The Hotel Eurosalou Restaurant offers buffet-style local and international food available for breakfast, lunch and dinner, with show cooking available too. If you prefer to explore the local cuisine in the surrounding area, there are a multitude of bars and restaurants in the town centre which is close by. 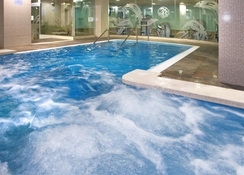 This hotel has plenty of entertainment to suit the whole family, including an outdoor swimming pool for both parents and kids, a spa and wellness centre for pamper purposes, a games room, disco and in-house entertainment. There are two gorgeous sandy beaches less than half a mile away from the property for those wanting sun, sand and sea, while the PortAventura Theme Park is sure to keep little with lots of energy, occupied! Golf lovers can head to the Casa Club Lumine Hills Golf Course.